Gigmax - File Storage, Organization, and Transfer Made Easy! Gigmax is file storage, organization, and transfer made easy ‒ eliminating the need for a USB flash drive or email attachments. But this service goes beyond a traditional "transfer" or "backup" system. It allows you to store and access your data anywhere in an instant by reducing the amount of redundant files you save on one computer, while making it effortless to recall your files on another. 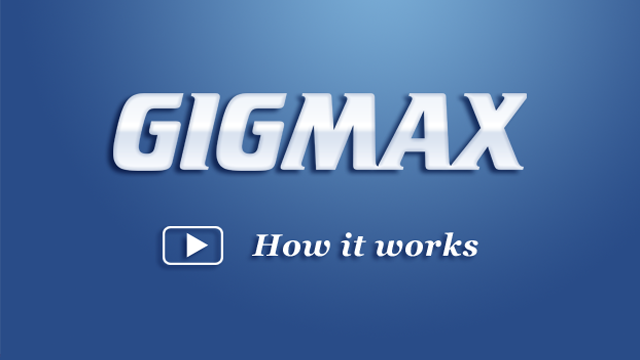 Simply, Gigmax realizes file synchronization and access for what it should be: limitless.